​We are very pleased to have been asked to give a short presentation at the ORE Catapult’s China-UK Workshop, taking place next Thursday the 18th of January at the Radisson Blu hotel in Glasgow. We will be talking about the exciting new offshore personnel transfer system under development and how working with ORE Catapult and other UK institutions is helping accelerate time to market. 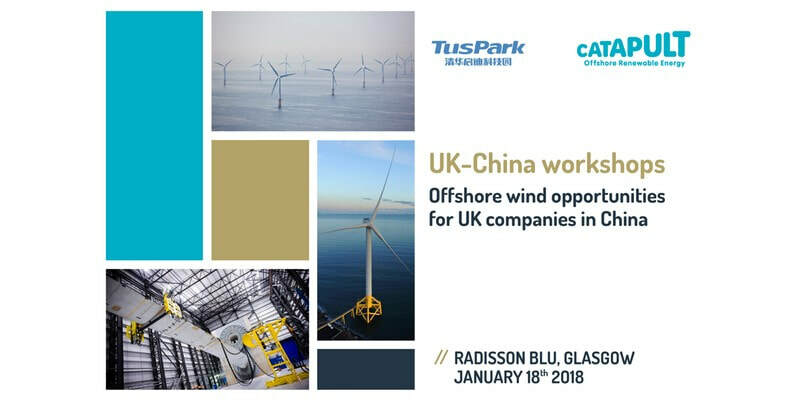 The event follows on from the recent collaboration agreement between ORE Catapult and Chinese clean energy company Tus, and has been set up to outline the opportunity for UK companies to be directly involved in collaborative technology projects for the Chinese offshore wind market and, in particular, a 500MW offshore wind demonstrator project (in planning) in the Shandong Province.